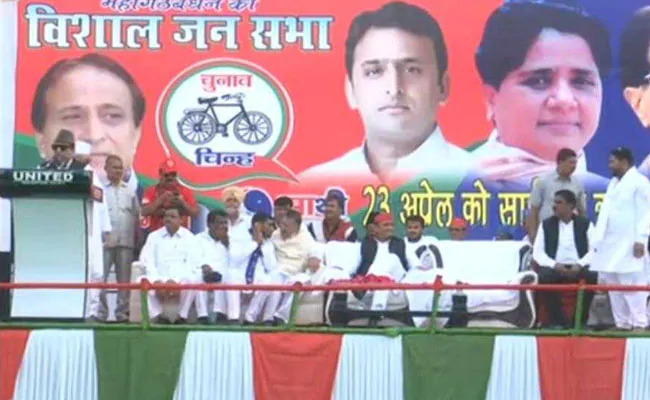 Azam Khan made a remark against Jaya Prada while addressing a rally in Uttar Pradesh's Rampur. An FIR was filed against Samajwadi Party leader Azam Khan on Monday for his alleged 'khaki underwear' remark directed at actor-turned politician Jaya Prada. Mr Khan, however, claimed he didn't refer to Jaya Prada in his speech, and said he will not contest the elections if proven guilty. "I haven't named anyone. I know what I should say. If anyone can prove that I have named anyone anywhere and insulted anyone, then I'll not contest elections," he told news agency ANI. Responding to the statement, Jaya Prada said Mr Khan shouldn't be allowed to contest elections. "He shouldn't be allowed to contest elections. Because if this man wins, what will happen to democracy? There'll be no place for women in society. Where will we go? Should I die, then you'll be satisfied? You think that I'll get scared & leave Rampur? But I won't leave," she was quoted as saying by ANI. Addressing a rally in Gujarat, BJP President Amit Shah, "Not only Azam Khan, but both Samajwadi Party and Bahujan Samaj Party should apologize to the crores of women in our country." Union Minister Smriti Irani on Samajwadi Party leader Azam Khan's remark said Derogatory comments were being made on a woman and SP leaders were sitting silently. Hitting out at Samajwadi Party leader Azam Khan jibe, Uttar Pradesh Chief Minister Yogi Adityanath said, "This shows the thinking and culture of the Samajwadi Party. The silence of SP chief and his ally Mayawati, who is also a woman, is surprising. This is very unfortunate. Azam Khan's statement is extremely disrespectful, shows his cheap mindset. Film actress and Rampur BJP candidate Jaya Prada said Samajwadi Party leader Azam Khan should not be allowed to contest the elections, adding that his "vulgar remarks" will not deter her from contesting polls from Rampur. "If he (Khan) thinks I will leave Rampur due to his fear, his comments cannot deter me. And I will not leave Rampur," Jaya Prada said. "He shouldn't be allowed to contest elections. Because if this man wins, what will happen to democracy? There will be no place for women in society." The National Commission for Women has strongly condemned the "extremely derogatory" remarks made by SP leader Azam Khan against actor-turned politician Jaya Prada and issued a show cause notice to him. Citing news reports, the NCW said the alleged remarks made by him were "offensive, unethical and show disrespect towards dignity of women". 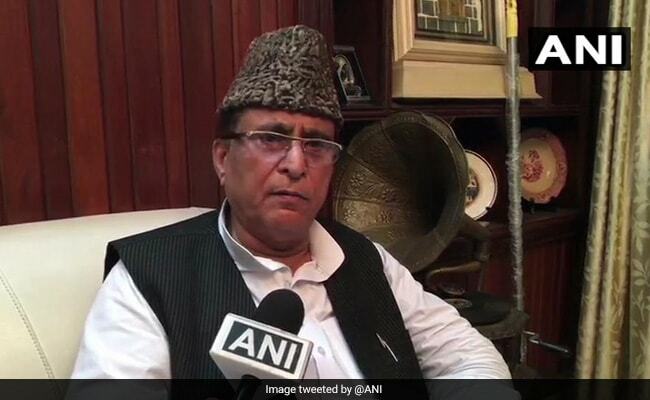 Azam Khan Clarified Saying He Made Remarks In Context Of A "Man"
Samajwadi Party leader Azam Khan claimed he made the remarks in the context of a "man" who had apparently said that "he brought 150 rifles with him" and if he sees Azam Khan, he would shoot him. The police have lodged an FIR against Samajwadi Party leader Azam Khan for his objectionable 'khaki underwear' comment against actor-turned politician Jaya Prada.